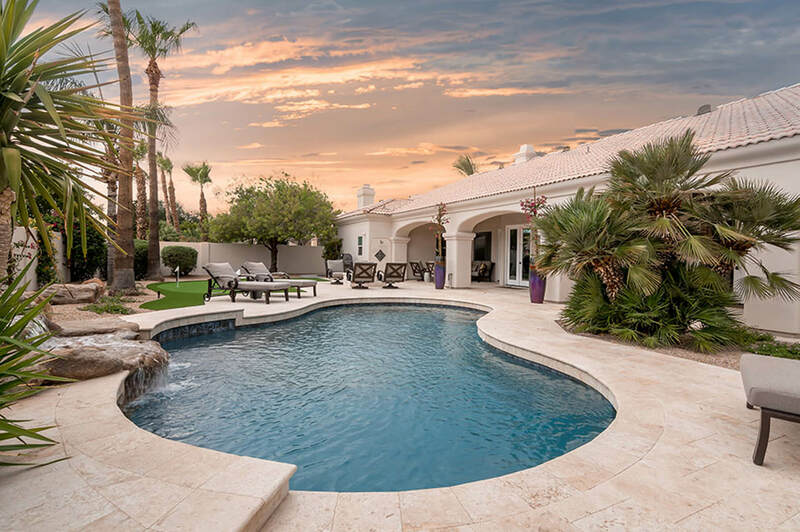 Basketball, tennis, soccer, handball, and volleyball are all popular sports in Arizona, played on sport courts in homes and on commercial properties across the Valley. 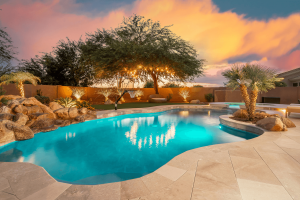 Hundreds of Arizona resorts, parks and sport complexes in Scottsdale, Mesa, Phoenix, Tempe, Chandler, Glendale, Sun City and beyond include sport courts that are well used by the local communities and visitors to the ‘Valley of the Sun’. The Imagine Architectural team works on commercial pool deck projects as well as residential. 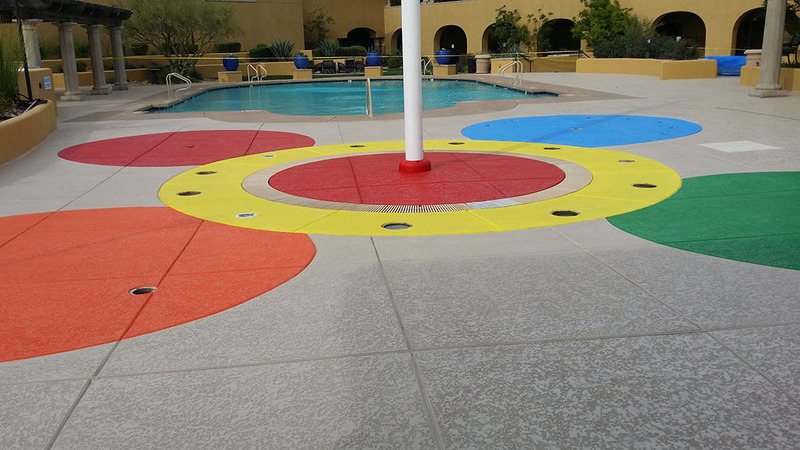 Commercial projects tend to be larger in scale and are a great opportunity for our team to use a wide variety of installation and maintenance skills, with the goal of delivering the highest quality pool deck finish every time. 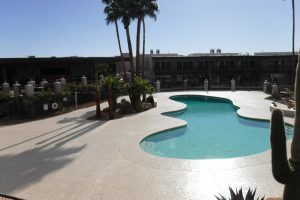 When installing or resurfacing a commercial pool deck it is essential to ensure the highest quality of pool deck installation, the perfect concrete pour, and an ongoing maintenance plan to keep the deck looking brand new. Thinking about a commercial maintenance plan from the outset of the project helps to ensure durability and extends the life of the pool deck surface for the client and all their customers. The use of epoxy polymers in flooring has been a popular choice for garages for years, and there are many reasons why, here are just three of them. If after reading this you are sold on the idea of an epoxy coating for your garage floor, then our team is ready to help. 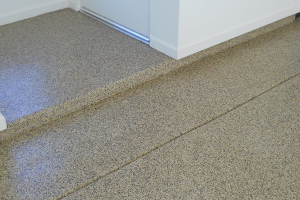 Our team of expert garage flooring installers bring professionalism, many years of experience, the highest quality workmanship, warrantied products, and expertise in working with concrete. The Imagine Architectural Concrete team is the team you need to ensure a finished garage floor that you will love for many, many years to come. Our team recently completed a pool deck remodel project in Mesa, Arizona. From start to finish this was a very enjoyable project to work on. Our client had a clear vision, and we were able to deliver the perfect team to make the vision a reality. 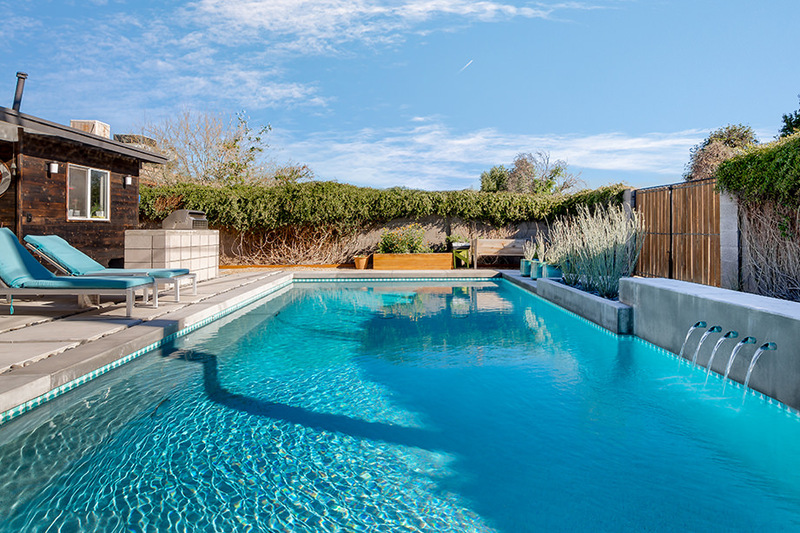 The end result is a phenomenal outdoor entertaining space, with an easily maintained attractive pool deck that adds significant value to this family home. We worked on a remodeling project recently which is too good not to share. The job location was Scottsdale, Arizona, and the primary material for the pool deck and patio was ‘Boulevard Lights’ limestone. Did you know that concrete is art? 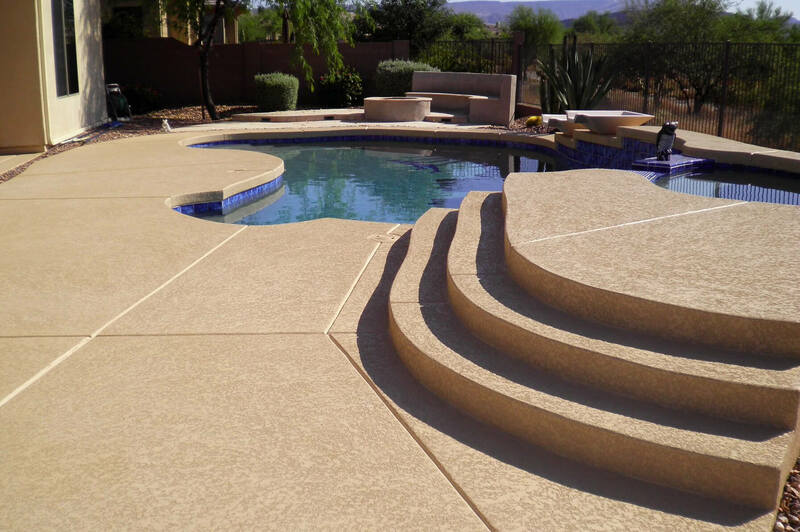 With over 18 years of experience creating custom concrete forms and perfect concrete pours for commercial concrete projects and residential concrete projects in Arizona, our concrete specialists are able to work with concrete to create a quality finish. 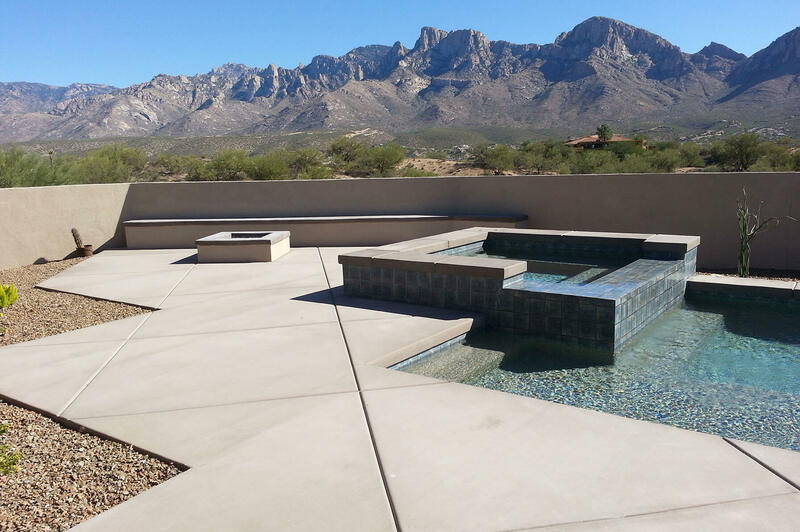 The Imagine Concrete AZ team recently worked on a unique Tempe, Arizona pool deck. 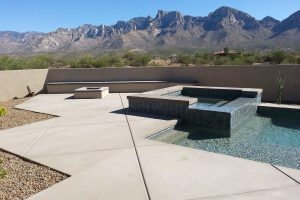 Our team expertly used concrete and concrete slabs to completely transform the client’s backyard from an out-of-date, worn-out look into a modern oasis. At Imagine we are always excited to take on new commercial pool deck projects, and this one at CIVANA Carefree (formerly known as the Carefree Resort) was no exception. 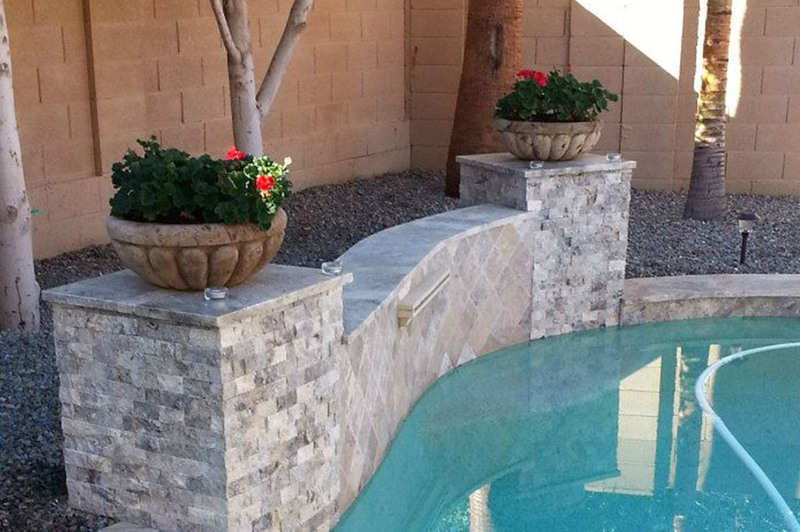 The Imagine team recently completed a project at a residence in the Biltmore golf course area, Phoenix Arizona. Located near the grandeur of the Phoenix mountain preserve, the Biltmore golf course is situated right in the heart of Phoenix. Owners of residences in this area have been contending with the high water table, and the resultant backyard flooding, for many years. The key to enjoying your beautiful pool deck for many years to come is simple ongoing maintenance. Here are some top tips on what you can do to increase the life-span of your pool deck. 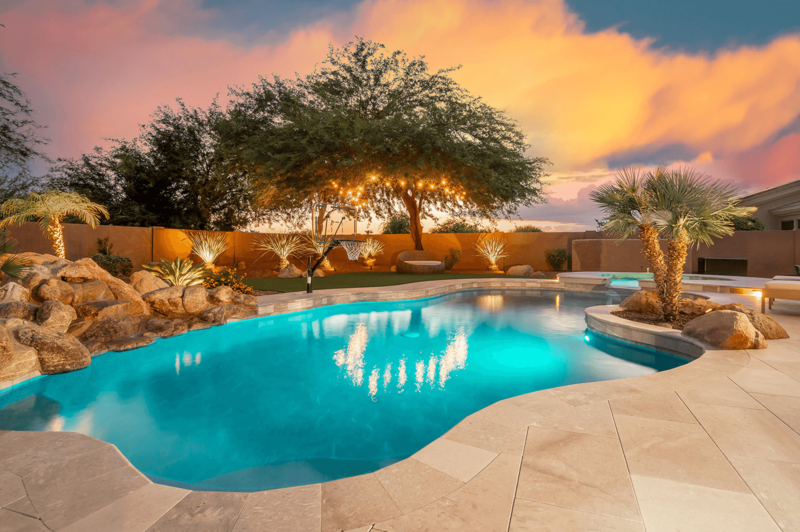 Our team recently worked on a project in North Scottsdale. The project brief was to switch out the old stamped concrete patio with more modern limestone pavers for a really clean look. Our client selected Boulevard Light for their pavers to perfectly compliment the rest of their back yard and their home’s architecture. Copyright © 2019 ImagineAZ. All Rights Reserved.